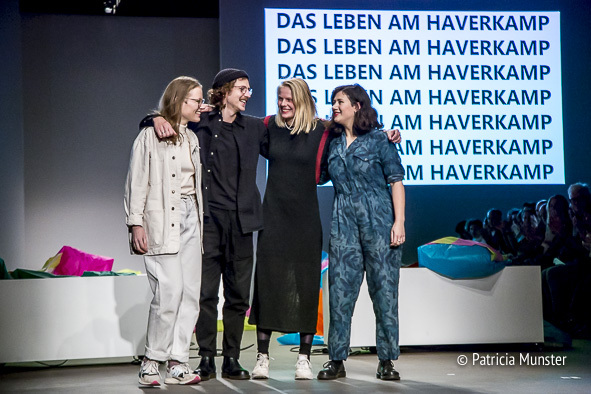 Das Leben am Haverkamp is a design collective of four young dutch graduates. 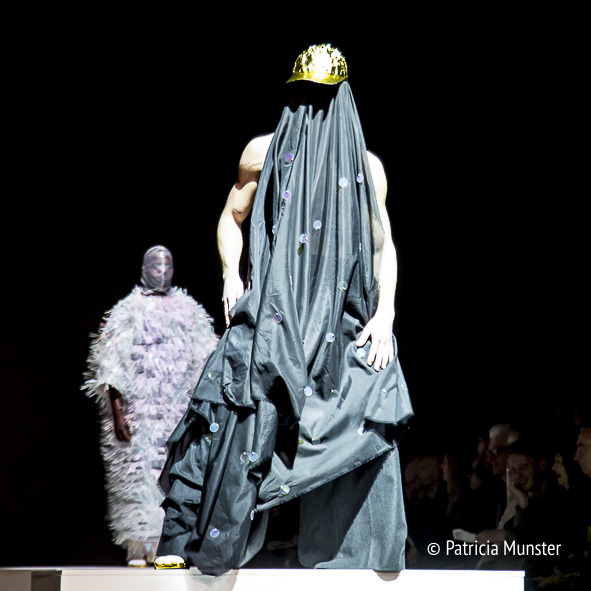 Each with his or her own creativity but with a common vision on clothing, fashion and art. 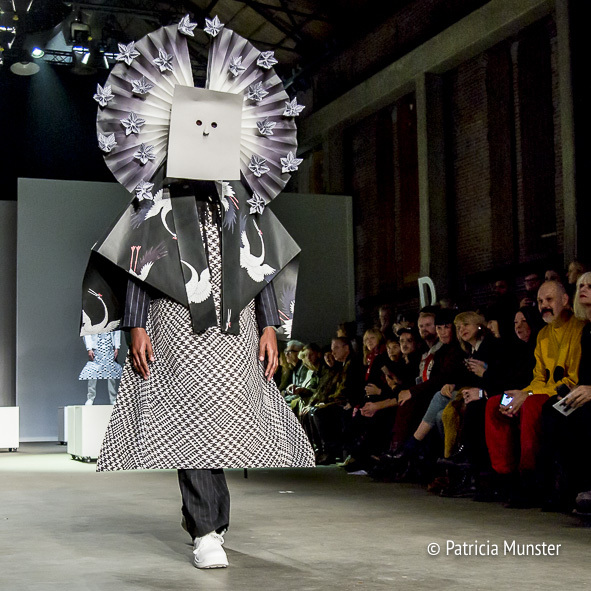 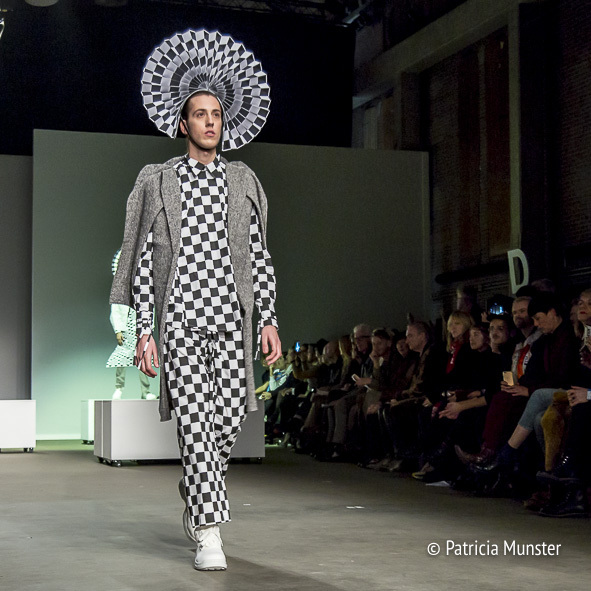 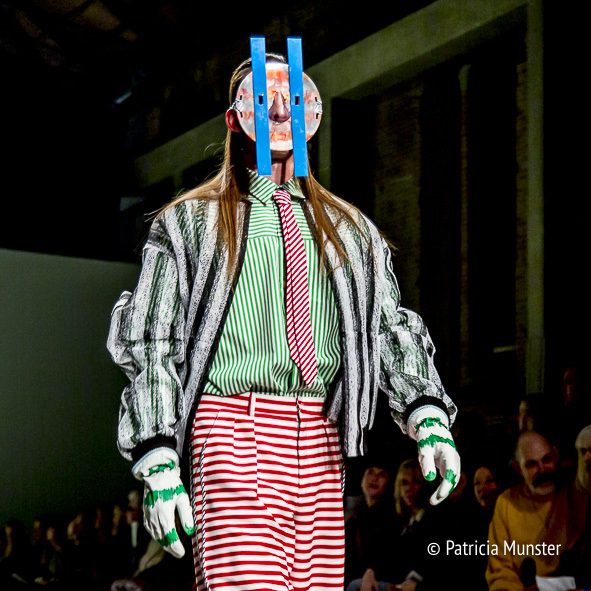 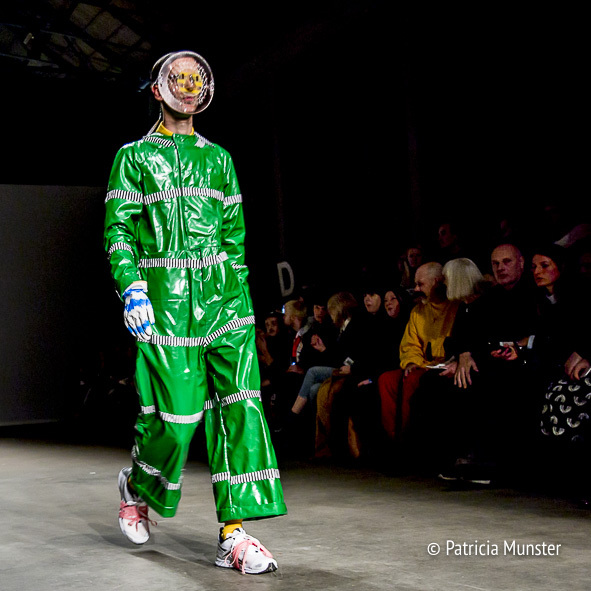 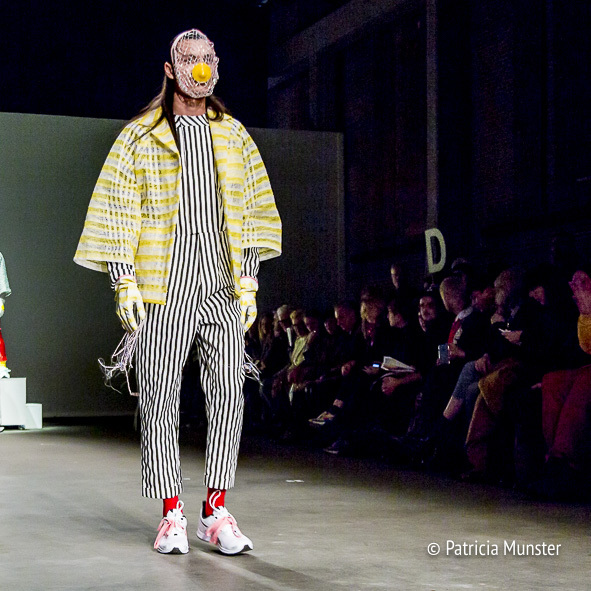 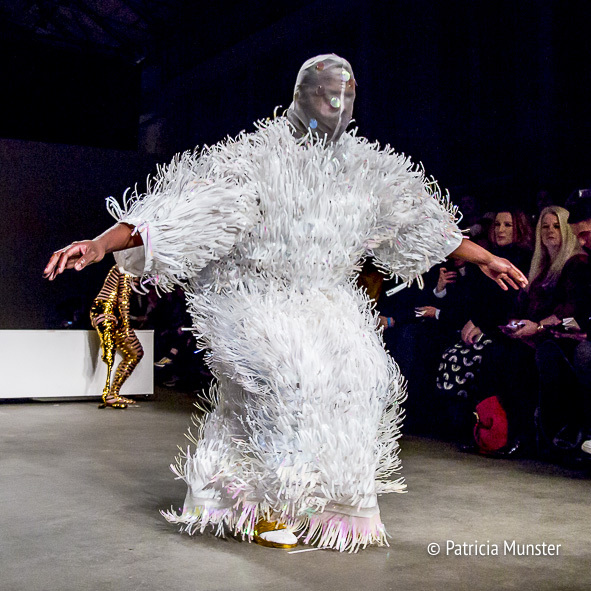 During Amsterdam Fashion Week Dewi Bekker, Anouk van Klaveren, Gino Anthonisse en Christa van der Meer presented an experimental show. 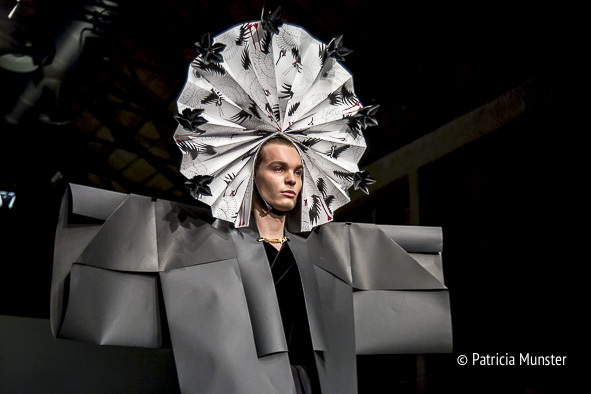 With all kind of materials like cardboard, gold tape and kite fabric. 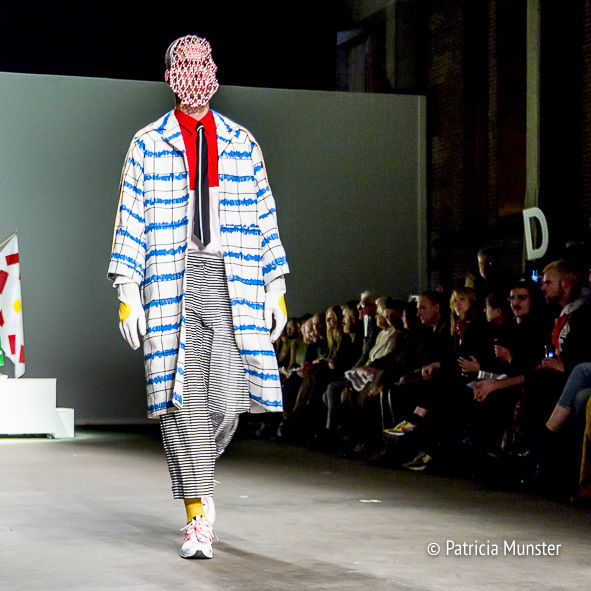 Dewi Bekker kicked of with a colourful menswear collection. 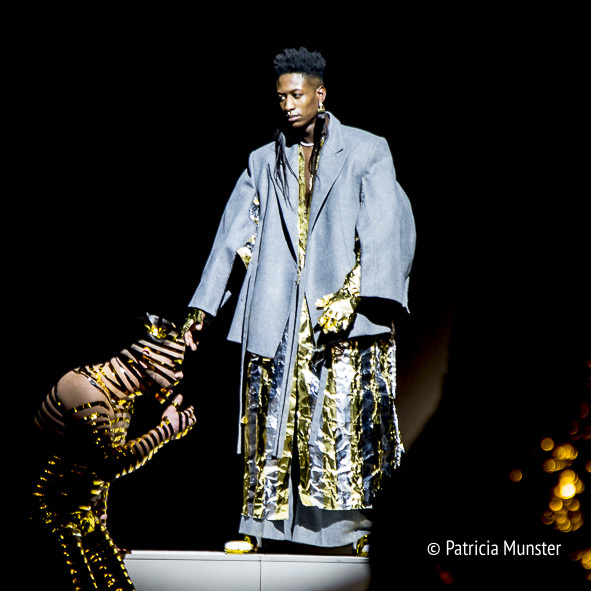 Anouk van Klaveren started her show with three men taped in gold, like stripes. 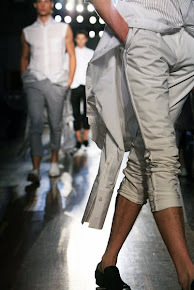 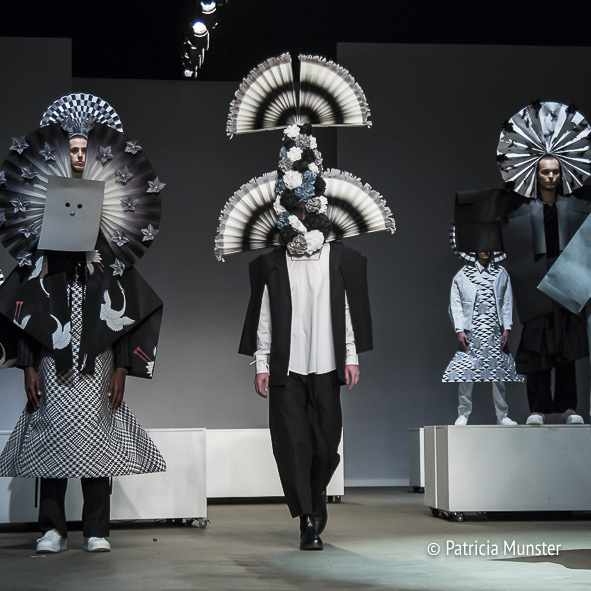 Gino Anthonisse presented a black and white collection made mainly out of cardboard. 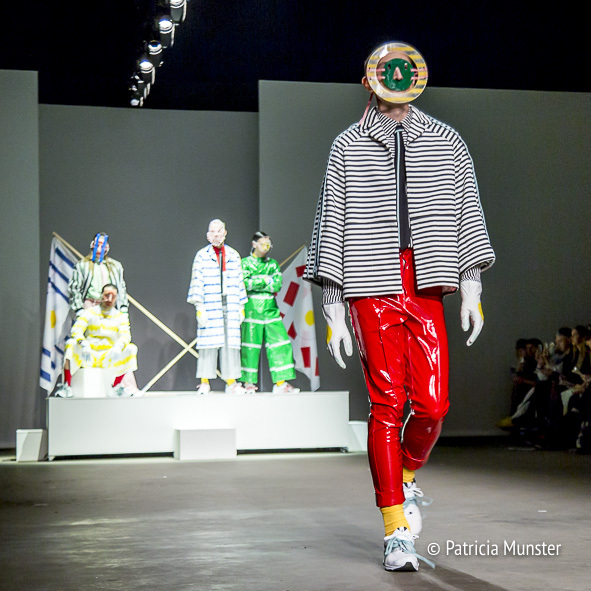 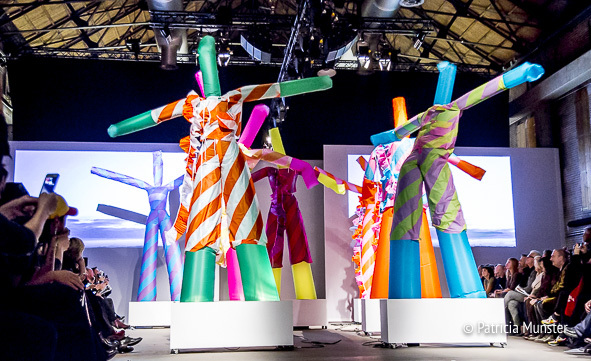 And Christa van der Meer used inflatable dolls to present her colourful collection of kite fabric. 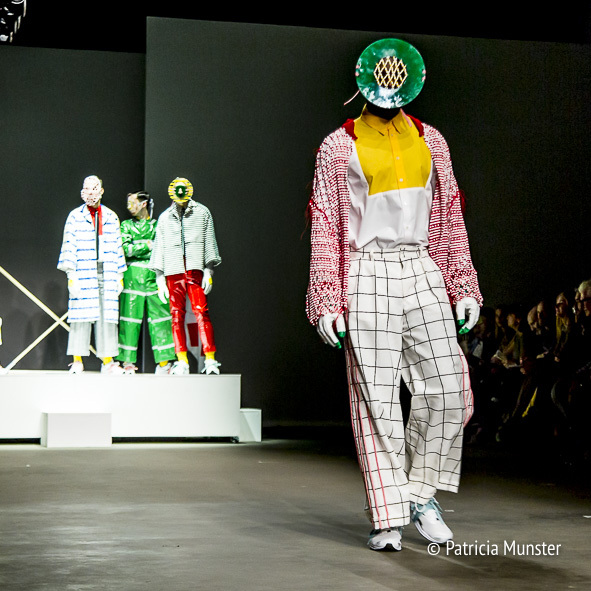 It was a show with a lot to think about! 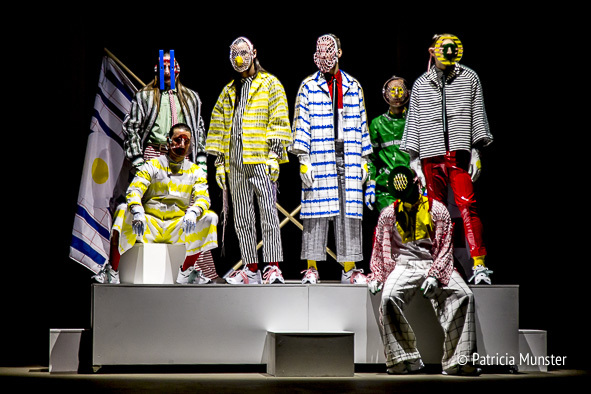 Which designer inspired you the most? 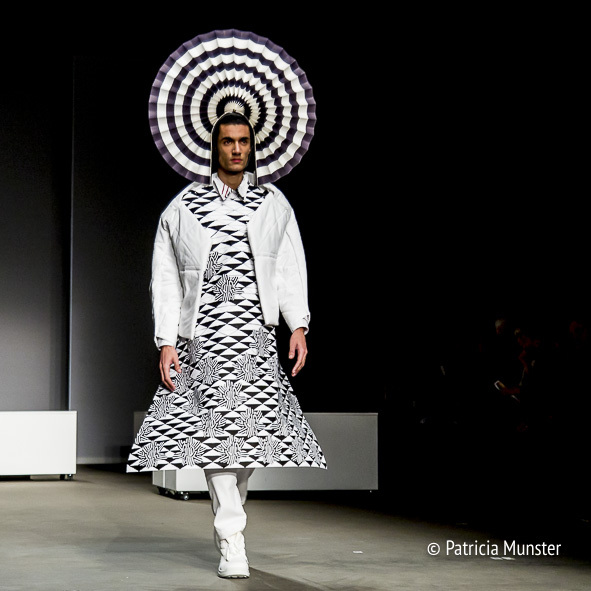 For more information on the designers visit Das Leben am Haverkamp!